Automatic Fire Extinguishers are for fixed installation adjacent to a fire risk and discharge automatically if a fire occurs. Each unit is fitted with a heat activated glass bulb sprinkler head. 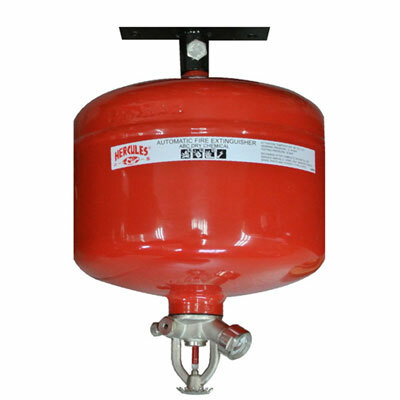 Dry Powder automatic fire extinguishers are commonly used in engine /plant rooms, switchrooms, boats and vehicles. We also offer clean agent gas based solutions that leave no residue and typically provide added protection for boat engine compartments, sensitive electronics, plant and machinery, clean rooms and data storage areas. These can be FM200, HFC236, Recycled Halon 1211 or Halon 1301 depending on the needs. 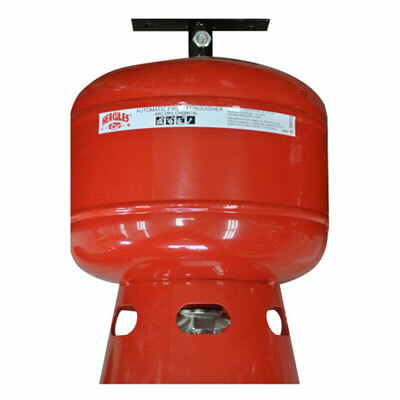 Automatic Fire Extinguishers should be mounted centrally over the area to be protected, with the discharge nozzle pointing vertically downwards away from the ceiling.